Studio CD Projekt RED has named the first partner company to distribute Cyberpunk 2077 in the local market. In North America, Warner Bros will be responsible for distributing Cyberpunk 2077, Interactive Entertainment. CD Projekt had already worked with the game division of Warner Bros. In the past, the company promoted the previous games in the American market, such as “The Witcher 2: Assassins of Kings” and “The Witcher 3: Wild Hunt”. In CD Projekt, Warner Bros perfectly cope with the distribution of the studio’s biggest and most ambitious project. According to the studio’s press release, Warner Bros. Interactive Entertainment will be responsible not only for distribution but also for the promotion of the game in the US market. Previously assumed that CD Projekt will independently advertise Cyberpunk 2077. Through this way the studio will be able to get a large share of the profits. 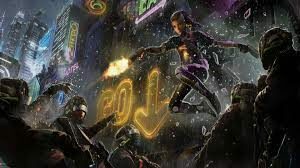 Warner Bros. Interactive Entertainment will distribute Cyberpunk 2077 on all target platforms such as PC, PlayStation 4 and Xbox One. This news has far-reaching consequences, and quite realistic from the field of conspiracy theories. According to Michal Novakovsky, a member of the board of CD Projekt, this is due to the success of their past collaboration.